The chief purpose of a checking account that bears interest is to furnish the required liquidity of other forms of checking accounts while recompensing interest on the account’s available balance. This checking account offers you the privilege of writing checks and at the same time encourages you to maintain the hefty balance in your account to ensure that you make more interest income. The name “interest bearing checking accounts” is sort of a wrong term in the United States for the reason that it is technically against the law for a bank that is a member of the Federal Reserve to pay back interest on a checking account. Though they are acknowledged as a type of checking account that earns interest, they are generally NOW or Negotiable Order of Withdrawal accounts. In addition, several money market accounts or IRA MMA‘s are frequently considered checking accounts that also bear interest. This is only applicable to the extent that they disburse interest and permit you to write checks. However, they are not insured by the FDIC like a bank’s checking account. If you want to retire wealthy while keeping your thousands of dollars liquid and you don’t essentially need access to your money, this type of checking account may suit you best. Note though that the rate of interest procured in an interest generating checking account is only nominal. In reality, the average rate of return on this account over time is limited to two percent or even lower. 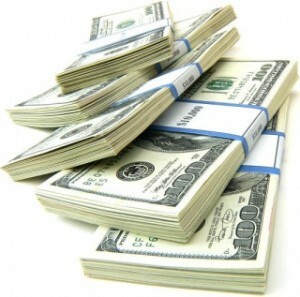 Moreover, there are balance requirements in opening the account, which are most of the time thousands of dollars. In an economy where interest rate rise is apparent, these accounts present better yields. Even though they don’t achieve the CDs or savings account’s yields, they can generate a respectable annual return when the rates of interest skyrocket. In some instances, checking accounts with interest are advantageous for consumer and are highly influenced by the benefits of inflation. If you normally maintain a large balance in your bankbook for available cash and emergencies, you would not have to worry about the imposed minimum balance fees of these accounts. 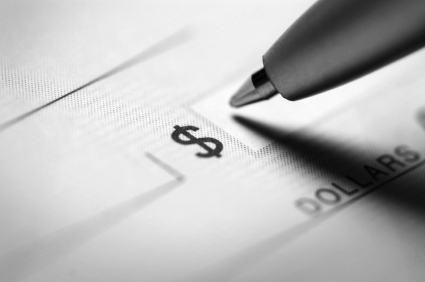 These checking accounts are primarily used by banks to establish and tighten relationships with new banking customers. In their desire to border their losses as much as possible, banks have started to place maximum balance limitations to include minimum balance requirements on these accounts. While not every bank sets a maximum balance restriction, this regulation is swiftly becoming the industry standard. An investing advice that you should keep in mind when it comes to interest bearing checking accounts is that they are not for everyone. You have to maintain consistently high account balance to be able to prevent finance charges from consuming your funds for falling below the set point. Most credit unions and banks in the United States necessitate customers to have at least $2,000 in their checking account. If they’ve failed to do so, a monthly fee will be charged. In some cases, you may procure the highest rate of interest when you opt for internet banks. These are financial firms and institutions that run their business online, which delineates that they don’t pay any brick-and-mortar overhead costs. Once again, this is a case of personal preference to determine if checking accounts with interest suit your financial needs.